I am a licensed Geropsychologist in private practice in Sacramento since 1985. After graduating from Yale University, I completed my doctorate in clinical psychology at University of California, Davis. During my pre and postdoctoral internships, I focused on the neuropsychology of aging and trained in the Department of Community Health Geriatric Clinic, which later developed into the UC Davis Alzheimer’s Disease Center. I am past President of Sacramento Psychological Association (SVPA) and current President of the SVPA Forensic Division. I am an active member of the Section of Geropsychology in the Division of Clinical Psychology of the American Psychology Association, and of Psychologists in Long Term Care, for which I served as past editor of their newsletter. I am also a founding member of the Sacramento Financial Abuse Specialist Team and Elder Death Review Team. Advocating for the best interest of elders is my top priority. 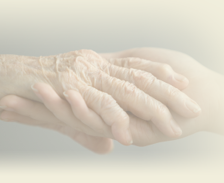 I approach complex personal and professional ElderCare problems in a practical, thoughtful, and direct manner. As an ElderCare Adviser to legal, health, financial, social service, and law enforcement professionals throughout California, I consult and train those serving elders. I welcome the opportunity to advise you through the maze of managing the multiple needs of the elders you care for and for yourself. Feel free to look at my newsletter, ElderCare Advice and contribute. I hope you find this web site valuable and informative.